A child diagnosed with ASD (Autism Spectrum Disorder) before the age of 3 years has access to early –intervention services provided by speech-language pathologists, mental health practioners and others, as specified in the Individuals With Disabilities Education Act. Compared with treatments offered later in life, early intervention for ASD appears to carry a greater chance for academic, vocational/career and social success and potentially lower education costs. Many toddlers diagnosed with ASD who receive early intervention can attend regular kindergarten, cutting annual education cost by $10,000 per child according to the Autism Society of the America. That reduction ultimately can be calculated through the lifetime of a child on the spectrum of a savings in the cost of care by 76% (bit.ly/asd-lifetime-costs). But today, only 20 percent of U.S. children are diagnosed before age 3; the average age of diagnosis falls somewhere between 4 and 5 years old. The Diagnostic and Statistical Manual Fifth Edition (DSM-5), provides criteria to diagnose ASD. The two sets of criteria involved are related to social communication deficits and restricted, repetitive patterns of behavior, interests or activities. Often speech and language pathologists will be the first professional to raise the autism question, because parents and/or school staff are concerned that a child is not speaking or has stopped speaking. As clinicians work toward more early diagnosis in toddlers, researchers are looking for ways to diagnose children even earlier-within the first few months of life. During the first year in the life of a child, eye gaze, babbling and feeding issues all have been identified as possible risk indicators for developmental delay. For example, research by Warren R. Jones and Ami Klin published in Nature (bit.ly/eye-gaze) found that children later diagnosed with ASD tended to make less eye contact with their mother or caregiver as infants (2 to 6 months of age), compared with children who developed normally. Like Jones and Klin, Crais and Watson have used retrospective video analysis in their research, collecting early home videos from families who have children later diagnosed with ASD. These researchers found several distinctions between these children and those who develop in a typical way, as well as those with other developmental delays. 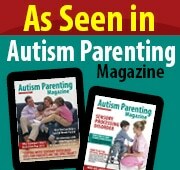 For examples, when children with ASD are very young, they tend not to babble at all or as much as other babies. That in turn affects how parents interact which may suggest that parents are inadvertently giving less input to their developmentally delayed child, well before a formal diagnosis is made. When infants start using early babbling sounds, parents’ responses become more ‘language-like’ and that’s better for language learning. Feeding issues may send infants to speech and language pathologist even before there are concerns for formal language development. This specialized clinician can observe whether the infant is developing the expected pre-linguistic communication, such as using varied gestures for purposes, such as requesting things, refusing things, showing objects to others and playing social games. Early identification, thus potentially helps parents identify early risk factors which in turn can support their initiating interventions with their children, possibly improving their children’s outcomes. This kind of effort, combined with sustained professional intervention, can help children with ASD maximize their developmental capacity. As parents learn more about risk factors to their children’s overall development, the greater is their likelihood for proactive and responsive interactions. Esther B. Hess, Ph.D. is a developmental psychologist and executive director of a multidisciplinary treatment facility in West Los Angeles, Center for the Developing Mind. For more information and/or to contact Dr. Hess please visit the Center for the Developing Mind’s web site at www.centerforthedevelopingmind.com.